With regard to Svaty’s paternity fraud, this really underscores how dangerous this monstrously corrupt judge truly is. 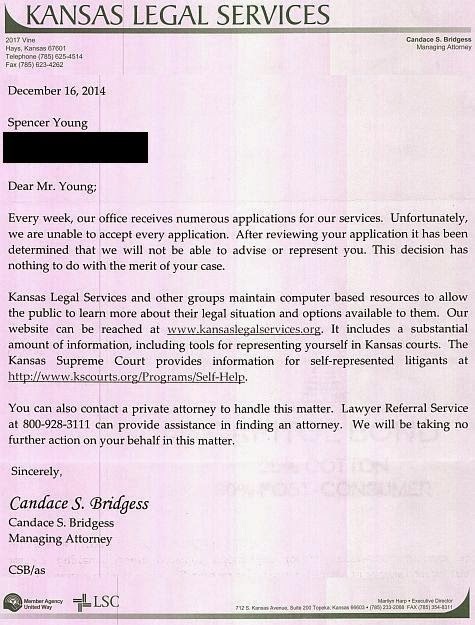 It basically means Spencer C. Young is deliberately denied his Constitutional right to due process through legal representation. He is being unlawfully prevented from defending himself in an outrageous paternity fraud from a judge with no jurisdictional authority whatsoever. For details on the absurdity of Svaty's fraud click here.